The Youth Ministry at Friedens Church provides opportunities for worship, discipleship, fellowship, and leadership. They learn, grow, celebrate, and lead. They love God, each other, and the community. They're in the schools, teams, bands, student government, FFA, sports, cheerleading, and more. And they love camp at Slumber Falls. Come see the greatest group of young people. You'll be blessed! 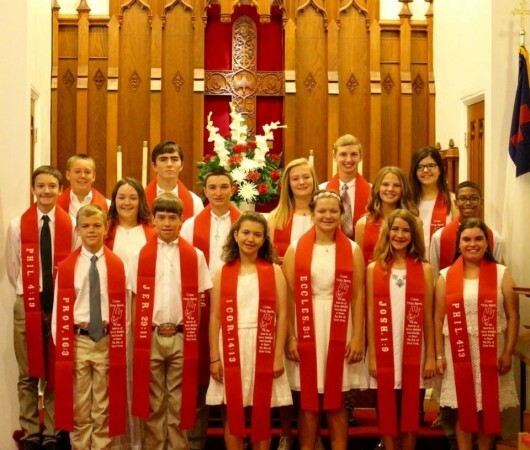 The confirmation class usually meets for about nine months starting in September and culminating on Pentecost Sunday in May. If you have any questions about Youth Confirmation or Christian Education please contact the church office at 830-303-7729.